Requires 9V external power supply, not includedNo matter who (or where) you are, Casio's LK-265 portable keyboard opens up a whole world of music with 400 high-quality Tones, and 150 built-in Rhythms including the all-new Dance Music Mode. 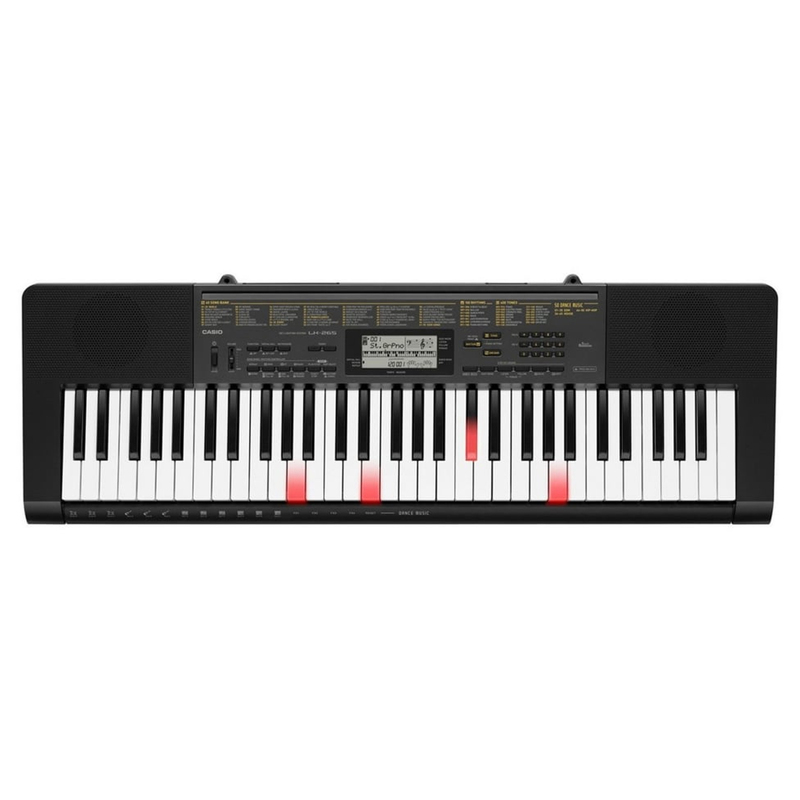 The 61 full-size, touch-sensitive keys feature Casio's Key Lighting system, making learning music fun. The LK-265 delivers hundreds of Tones and Rhythms to jump-start your creativity. It's a perfect introduction to music-making, and a great-sounding way to have fun.